Over at Kellys Korner she is doing a Show Us Your Life- Pets addition. 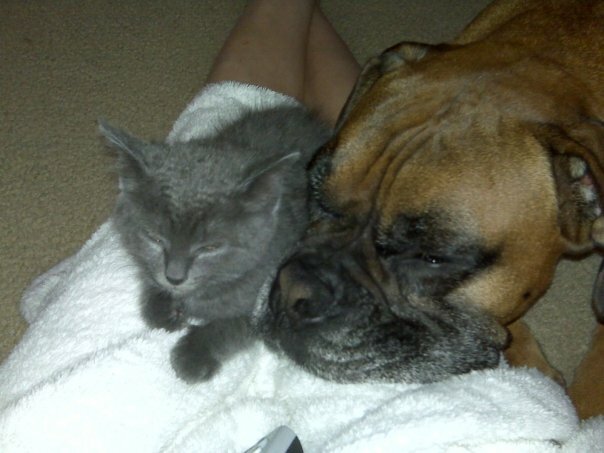 We have 2 pets, an 8 year old Boxer an a 2 year old cat. I got Zander when I was almost 19, didn't live at home and wanted to feel responsible and have a dog. Well I ended up moving home a few weeks after getting him and my mom was non too pleased that he was coming with me. After a while she got used to him and they love each other very much. A few years later I moved out into an apartment on my own and I was so thankful to have him. A single girl living alone was sitting prey, but when you have this gentle giant monster looking out the window, no one is going to mess with you. A few months after moving into our house I was at Walmart getting Halloween decorations with my sister. As we were walking in there was a box of free kittens. I have never been a kitten person but my sister just loves them. She went over and looked at them and fell in love. I continued into the store and she kept talking about the kittens. She couldn't take one because she already had two at home, but she was drilling me on them. As we walked out I took a look and it broke my heart. 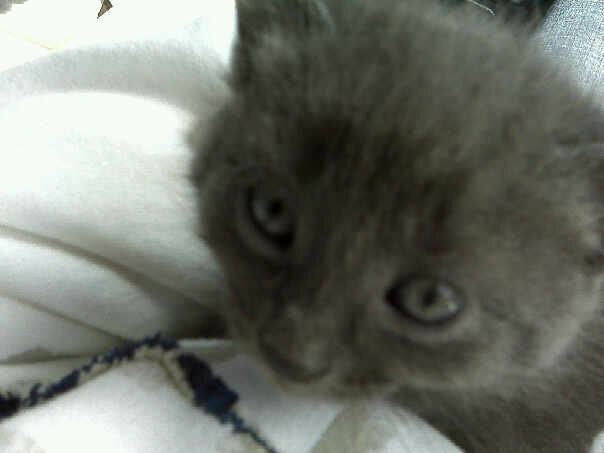 Anyone can take a free kitten, will they give it a good home? Will they be able to provide for it? Well, I grabbed one. I put her in my hoodie pocket and desperately tried to reach Mark on the phone. Will he want a cat? How will Zander react? When we got home I sneaked in slowly and showed him. He was in love. She was so cute and tiny. 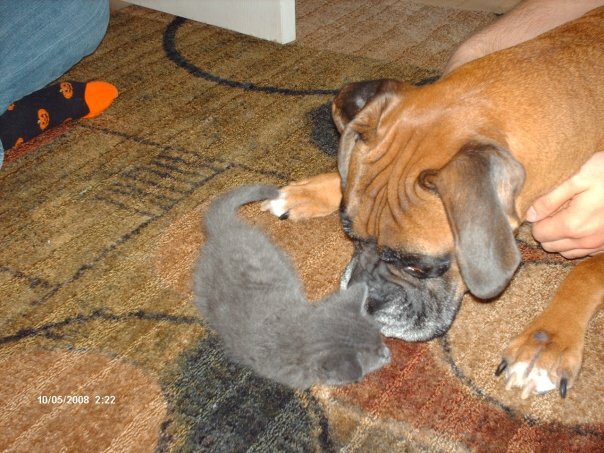 They were great friends from the beginning! We originally named her Lulabelle, don't ask. It was one of my rare stroke of genius ideas. That name lasted about a week and slowly turned into Pritt. Mark says it is because we would call her Pretty but when yelling at her we would say Pritt. 3 years later, she is Pritt. Now that Eliza is here they take the back burner. I feel bad but I just don't have enough hands, luckily Eliza LOVES them!